Jessica Lind Peterson’s original holiday comedy is back and sillier than ever! Soap opera star Colin Avery returns to his Minnesota roots to take over Christmas Lake Community Theater after his father dies. Colin's new wife Tess – a city girl with zero tolerance for mosquitoes – comes along for the ride only to find the theater on the verge of bankruptcy. After losing the rights to It’s a Wonderful Life, they race to come up with another play. With piano tuner and Little House fanatic Neil Gunderson, and lizard-loving massage therapist Martha Knutson as the only cast members, hilarity ensues as this unlikely bunch scramble to save the theater. There’s true love and off-key Christmas carols, lutefisk and naked pot bellies, and best of all, unexpected miracles happen. 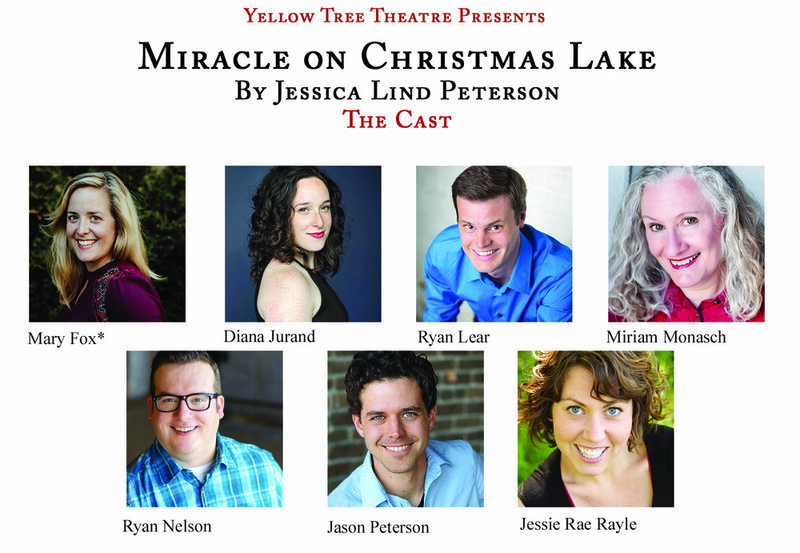 A ridiculous and heart-warming holiday comedy guaranteed to tickle the funny bone of lutefisk-eating Minnesotans everywhere!